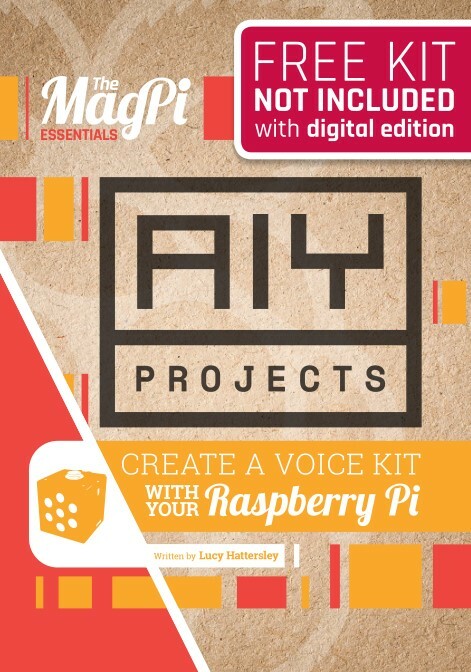 Google AIY Projects brings do-it-yourself artificial intelligence (AI) to the maker community. AIY Projects is a series of open-source designs that demonstrate how easy it is to add AI to your projects. We are thrilled to present the very first project, a kit that lets you explore voice recognition and natural language understanding. You will build a cardboard device that uses the Google Assistant to answer questions, like “how far away is the moon?” or “what is 18 percent of 92?”. Then you will learn how to add voice commands to your own projects. For example, you can register commands, such as “turn the lights on” or “robot, turn right and move forwards”. In the kit, Google has included a microphone, a speaker, and an accessory board called Voice HAT, that is loaded with breakout pins to wire up a variety of sensors and components. Google can’t wait for makers to build intelligent devices that solve real-world problems and share them back to the community using the #AIYProjects hashtag on social media. Your kit is a fantastic way to add voice control to your projects, and start exploring what’s possible with AI.